Cats are carnivorous animals that require a high-protein diet for optimum health. Most commercial cat foods, particularly dry foods, consist primarily of starchy carbohydrate filler. To make matters worse, these carbohydrates are broken down during the preparation of dry kibble, so they enter the cat’s bloodstream as sugar. Cats can easily become obese as a result of a high-carb diet, and this extra weight puts a strain on their joints, making exercise more difficult. It also puts them at risk for a variety of diseases. Many cat foods sold as diet foods are even higher in carbohydrates, because calories are removed by reducing fats rather than carbs. As a result, the food is less satisfying, and the cat is both malnourished and chronically hungry. The only way to attain weight loss with such foods is to feed such a small amount that the cat experiences feelings of near-starvation. Feeding a high-carbohydrate diet to a cat puts him at risk for a number of health problems, including inflammatory bowel disease (IBD), urinary tract disease, and diabetes. IBD is an immune-reactive condition in which the gastrointestinal tract treats food molecules as foreign invaders. Many felines develop IBD as a result of high carbohydrate diets. Sufferers experience recurrent bouts of diarrhea, and in some cases, vomiting as well, and may begin defecating outside the litter box. Many commercially available cat foods contain ingredients that would not naturally occur in a wild cat’s diet. Such foods can create an allergic reaction. Diets promoted as hypoallergenic will only be effective if they are also high in protein and moisture and low in carbohydrates – in other words, as close to the diet that the cat’s ancestors ate as possible. Many cats develop diseases of the urinary tract, which make urination painful. This may cause cats to urinate outside the litter box because they come to associate the box with pain. Owners may mistakenly believe that their cats are being disobedient, and cats have been surrendered to shelters or euthanized due to this faulty assumption. An epidemic of urinary tract problems in cats coincided with the increasing use of cheap kibble as a dietary staple for pets. Initially, researchers believed that it was the magnesium in these foods that was causing the problem, despite the fact that natural prey animals are also high in magnesium. This faulty assumption led to the popularity of low-ash cat foods. Dry cat foods can contribute to urinary tract problems because they are low in moisture, so the cat lives in a state of chronic dehydration. They also create a more alkaline urine pH, which can cause inflammation of the urinary tract. Feeding a high-moisture, high-protein, premium cat food can help prevent urinary tract problems. Leaving bowls of water at various locations around the house or purchasing a fountain-type water dish can also encourage a cat to take in more fluids. Indoor cats are certainly far safer than outdoor cats, but the combination of a more sedentary indoor lifestyle and cheap, high-carbohydrate cat food has caused many cats to become obese, and obese cats are more likely to develop diabetes. While obesity itself does not cause diabetes, lifestyle factors that make a cat pack on extra weight also contribute to the development of the disease. Because carbohydrates are not a natural diet for cats, their pancreas are not well-suited to handling regular large loads of sugar. Not all cats will become obese on a high-carbohydrate diet, but skinny individuals avoid obesity due to their genetics rather than because they are healthier. A skinny cat can also develop diabetes due to poor diet and genetic predisposition. Dramatically increasing rates of feline diabetes are largely attributable to low-protein cat foods and a sedentary lifestyle. Switching to a high-protein diet and ensuring that cats get plenty of opportunities for exercise reduces the risk of diabetes significantly. Feeding a high-protein, low-carbohydrate diet can help to prevent a variety of medical problems in cats, and switching to a more natural diet can often cure or reduce the symptoms of these illnesses if they do occur. In the case of diabetes, the pancreas of some cats have actually started working again after switching to a high-protein diet so that owners no longer had to give daily insulin shots. See Why Cats Need a High-Protein Cat Food for information on how to calculate the protein content in cat foods and choose the best protein sources for optimum health. For more information on cat symptoms, medical conditions, and treatments, visit the Cat Health and Safety page. For more on cat nutrition, see the Cat Food page. For a full list of cat articles, see the main Cats page. Reference: Fox, M.W. ; Hodgkins, E.; & Smart, M.E. (2008). Not Fit for a Dog! 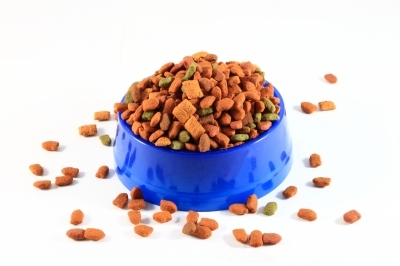 The Truth About Manufactured Dog and Cat Food. Linden Publishing.